•His stage name “G-Dragon” comes from his original name “Ji Yong” because Ji sounds just like a “G” and Yong means “Dragon”. •His childhood friend is Kangin from Super Junior. •He is known for his incredible taste in fashion and is one of the top fashionista in the idol world. 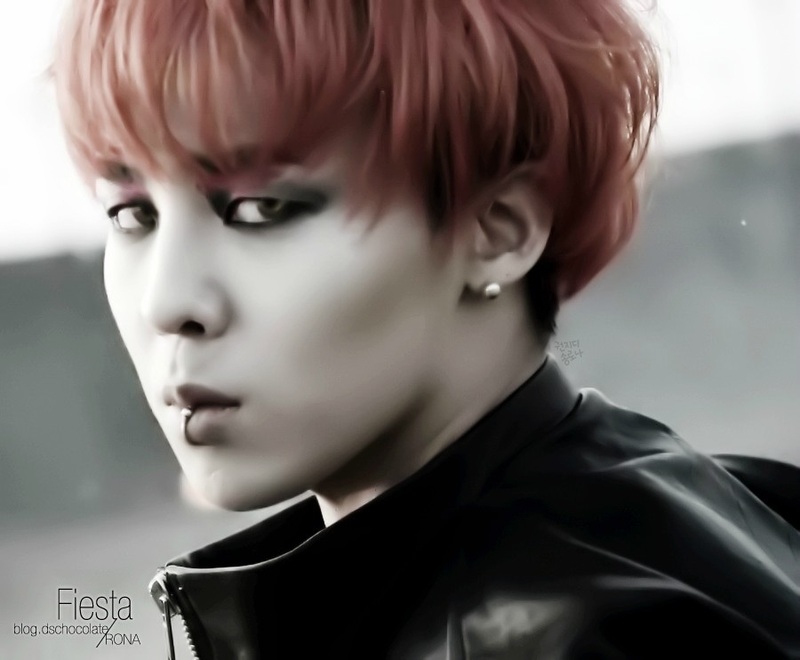 •Though he appears confident and charismatic on stage and in MVs, GD is extremely shy and modest in real life. •We he was eight years old he was apart of the kid group “Little Roora“. •Was an SM trainee for 5 years until he decided to quit because he was unsure if music was what he wanted to do. •He has been with YG Entertainment since he was 12 years old. •He and TaeYang were originally going to debut in a duo hip-hop group “GDYB“, but Yang Hyun Suk canceled their debut because he wanted to instead create a 4 to 6 member group (Which is now BIGBANG). •Even during his trainee years GD rapped in songs by several big name artist such as Wheesung, SE7EN, and Masta Wu. •After the members of BIGBANG were finalized, Yang Hyun Suk gave each of the members pendants. GD‘s was a star with his favorite type of cap on it. It means “To become a big star in the music industry“. •He produces all of BIGBANG’s songs. •In 2009 he released his first solo album “Heartbreaker“ an received a phenomenal amount of success. But it was later attacked by Sony Music for claims of “Heartbreaker“ being too similar to Flo Rida‘s “Right Round“ and “Butterfly“ being too similar to Oasis‘s “She’s Electric“. In the end the music labels for the respective artist said they didn’t see any similarities and did not press charges. •Ironically, GD released another version of “Heartbreaker“ featuring Flo Rida. •His relationship with Yang Hyun Suk is compared to a “father and son relationship“. •He along side T.O.P formed a sub unit titled “GD&TOP“. •In 2011 it was announced that GD failed a drug test taken in Japan and had traces of Marijuana in his hair cells. It was revealed that during a party GD had smoked a cigarette from a fan that tasted a bit off, but didn‘t think much of it since he had never smoked pot before and had also been drinking at the party. Soon after the news broke he stopped all of his up coming events and went on a self-reflection period. •”TaeYang“ is the korean word for sun. •Does his best in everything, and is said to be an over achiever. •He doesn’t like to ﬁght, and would much rather talk his problem out. •He listens to people well and thinks before he says anything. •Some musicians he likes are Usher, Omarion, Justin Timberlake. •His ﬁrst kiss was in the MV for his ﬁrst solo single “My Girl“. •When he was in 5th grade TaeYang was a child actor. He was recruited to play the part of mini Sean in JinuSean’s A-Yo MV. Being inspired by JinuSean, he later auditioned to join YG Entertainment. •He and G-Dragon were originally going to debut in a duo hip-hop group “GDYB“, but Yang Hyun Suk canceled their debut because he wanted to instead create a 4 to 6 member group (Which is now BIGBANG). •After the members of BIGBANG were ﬁnalized, Yang Hyun Suk gave each of the members pendants. 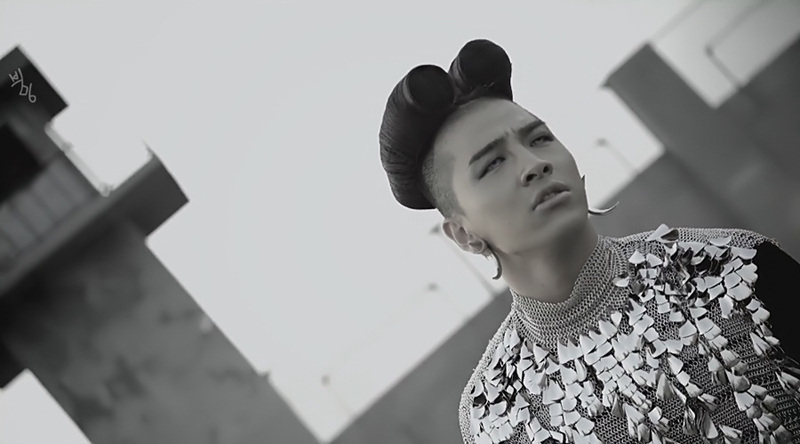 TaeYang’s has his initials “YB” with a crown over it. It means:“To become the best in the music industry”. •Though TaeYang is known for his impressive vocal abilities, he was actually trained to be a rapper but debuted in BIGBANG as a singer. •He is known for his kind hearted attitude and for his faith in God. •In 2010, TaeYang released his ﬁrst solo album “SOLAR“ that dominated the music charts and even won him “Best Male Artist of 2010“. •He is known for his jokester like antics not only in BIGBANG, but in various variety shows. •He loves to bring smiles to people‘s faces. •When he was a trainee he was diagnosed with vocal cord nodules (which is caused by straining the vocal cords). They got worse in the fall of 2006 and he had to undergo treatment soon before the release of BIGBANG‘s second single. Labelmate Gummy, who had experienced similar problems, helped Daesung recover and manage his condition, and they’ve been friends ever since. •Idols from YG often joke that Daesung and 2NE1‘s Minzy are related because of their similar facial features such as their smiling eyes. •The members of BIGBANG have stated that Daesung is the type of person to think: “If something goes right, it‘s because of someone else. But if something goes wrong, it‘s because of me. when they ﬁrst saw Daesung, they thought he had to be an musical genius). •Some musicians he admires are Usher, Omarion, Ne-Yo, and Wheesung. •In 2011, Daesung was driving to his parents house at night when he noticed a taxi car pulled over to the side. When he went to stop, he ran over a man lying in the road from a previous accident. The man died, and Daesung was struck with grief and sadness and ended all of his Idol appearances for the rest of the year. For the remainder of the year he stayed at home and/or went to church. 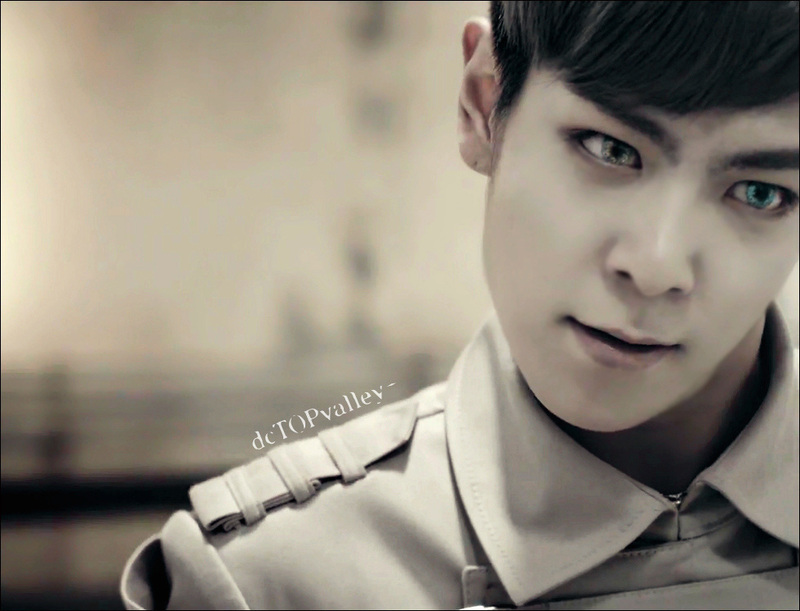 •Despite his rapper image, T.O.P is EXTREMELY playful. •He was childhood friends with G-Dragon, but once GD moved away the two became distant. But once YG was looking for candidates for the creation of BIGBANG, GD called him and recorded several demos to be sent to YG. He was latered contacted to audition. •When auditioning for YG, he was turned down because he was overweight. A month later he auditioned again with a slimmer and more toned body and got in (It is said that he lost 20 kg in 40 days). •After the members of BIGBANG were ﬁnalized, Yang Hyun Suk gave each of the members pendants. T.O.P‘s was a hand holding a megaphone. It means: “To inspire people with his voice and become big”. •Acted in the drama “Iris“ and ”I Am Sam“. •Acted in the movie “19“ along side Seungri and also in “71: Into the Fire“. •He won the Hallyu Popularity Award in the 47th Grand Bell Film Awards. •In 2010 he won “Best Newcomer Award“ in the Blue Dragon Awards (To which he says he was shocked but also a little bit embarrassed to go on stage since he had just dyed his hair white for his GD&TOP promotions and it was the ﬁrst time revealing his new hairstyle to the public). •Wrote the song “Oh Mom“ on the GD&TOP album about a fan who had cancer and died. •He is the ﬁrst Korean artist to have his song release worldwide on iTunes with “Turn It Up Loud“. •Some musicians he admires are Usher, Omarion, Jay-Z, and B2K. •Yang Guk Suk originally gave him the stage name “Mark“, but it was thrown away once label mate SE7EN came up with the name “T.O.P“. •In 2011 it was reported that he had purchased a 3 million dollar villa located in Seoul, South Korea. •When he was young he had participated in several dance competitions. He competed against his fellow member Taeyang as well as Super Junior‘s Eunhyuk, TVXQ‘s Yunho, and SHINee‘s Taemin. •Some musicians that he admires are Justin Timberlake, and Omarion. •Before becoming a YG Trainee he entered the “Battle Shinhwa“ program. He was eliminated in the show but was later recruited byYG as a trainee. •Seungri was originally eliminated from BIGBANG. But because he didn‘t want to face his friend and family after failing, he went back to YG and competed against SO-1 (aka Hyunsung from BEAST/B2ST) to be the ﬁnal member. In the end, Seungri won and was the last member of BIGBANG to be ﬁnalized. •After the members of BIGBANG were ﬁnalized, Yang Hyun Suk gave each of the members pendants. Seungri‘s was a ﬂag with a V on a disc with a ring around it. It means: “A new style of music set on the music industry”. •He is known for his blunt attitude and over ﬂowing conﬁdence. •He shed his “youngest member/maknae“ look when he promoted the single “Strong Baby“. •He has choreographed a large portion of BIGBANG‘s dances. •He has been labeled as the “Justin Timberlake of South Korea“. •Has acted in the movie “Why Did You Come to My House?” and in “19“ along side T.O.P. •The BIGBANG members often remark that they feel nervous whenever he goes out on shows because he has a tendency to say secrets about the other members. •He has opened singing and dancing training academies in Korea. •In 2012, he dropped out of Chung Ang University because of his demanding schedule in BIGBANG.